Marcia Trask is the Director of Business Operations - Marketing at New Relic. She is a passionate marketer with over 25 years of marketing experience in the technology industry. Marcia has worked across all marketing disciplines, as well as in sales and product operations. 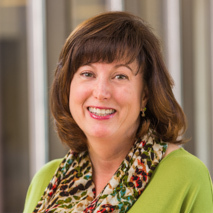 Prior to joining New Relic, Marcia was a Research Director in the Marketing Executive Strategies service at SiriusDecisions. She has also held senior marketing roles at Juniper Networks, Adobe Systems and PeopleSoft. In these roles, she has driven large-scale marketing automation implementations, managed annual planning and budgeting, created new campaign frameworks, developed performance dashboards, and partnered with sales on pipeline ownership.